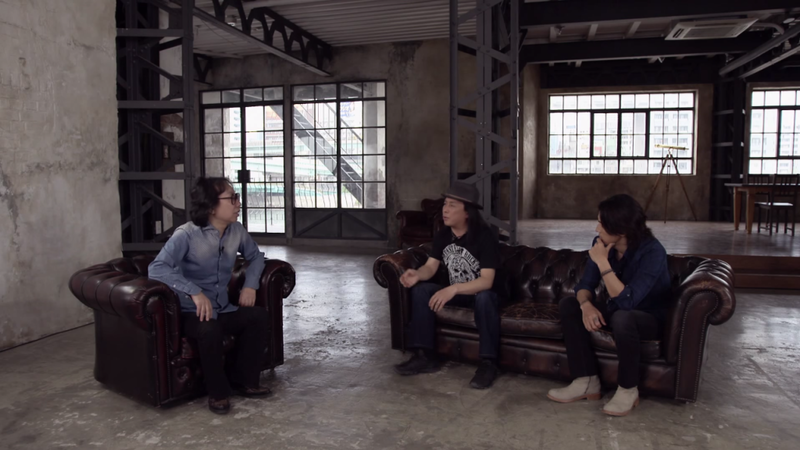 Minoru Niihara of LOUDNESS and Koshi Inaba talk about being a vocalist. The talk is hosted by Masa Ito. The second video part of Koshi’s talk series has been posted on his official website. This time, Koshi sits down with LOUDNESS’ current vocalist Minoru Niihara and talks about being a vocalist. In the talk hosted by music critic Masa Ito, both vocalists talk about the strict training they have to undergo in order to keep up the strength of their voices. They also talk about breaking points in their career when their voice-especially their vocal range-would change and they had to adapt to that. In the beginning, Masa Ito also mentions, that videos of Koshi covering LOUDNESS’ songs during his high school days could be seen on YouTube. Koshi is surprised and wonders who put them up in the first place. Even he doesn’t have those videos. Speaking of which! Koshi mentioned that they covered Crazy Nights during last year’s B’z Special live at the EX THEATER ROPPONGI. And guess what! A short bit of the actual performance was shown in the video. Be sure to check it out at 11 minutes and 32 seconds in. Would you be able to translate that please please please…. I second sfmixgal. This is one interview I would absolutely LOVE a translation of. I third sfmxigal. 😀 Also, thanks Tobias for all the hard work.